Mid-Life Cruising!!! 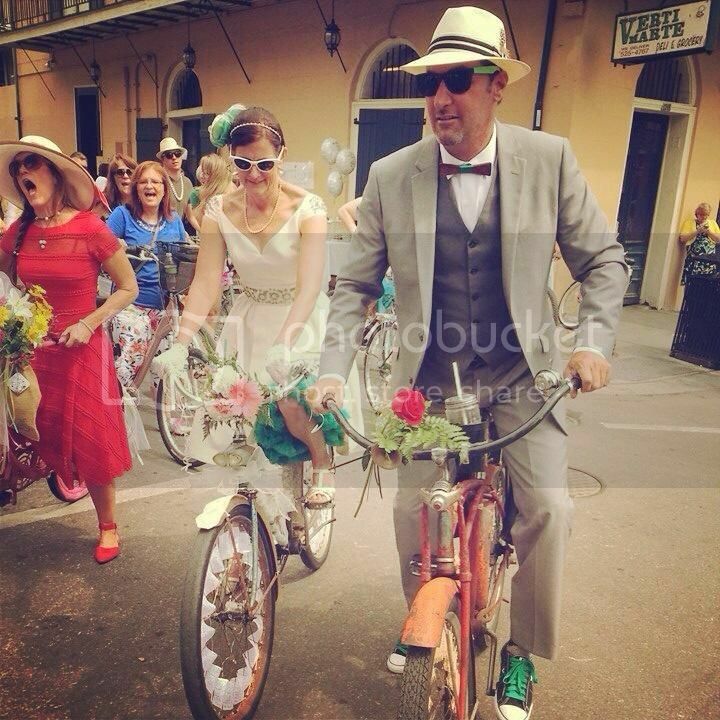 : A New Orleans Bicycle Wedding! 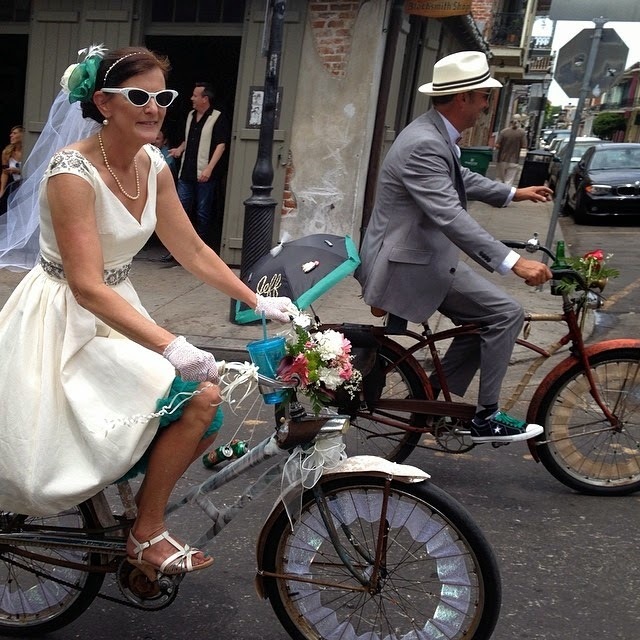 A New Orleans Bicycle Wedding! 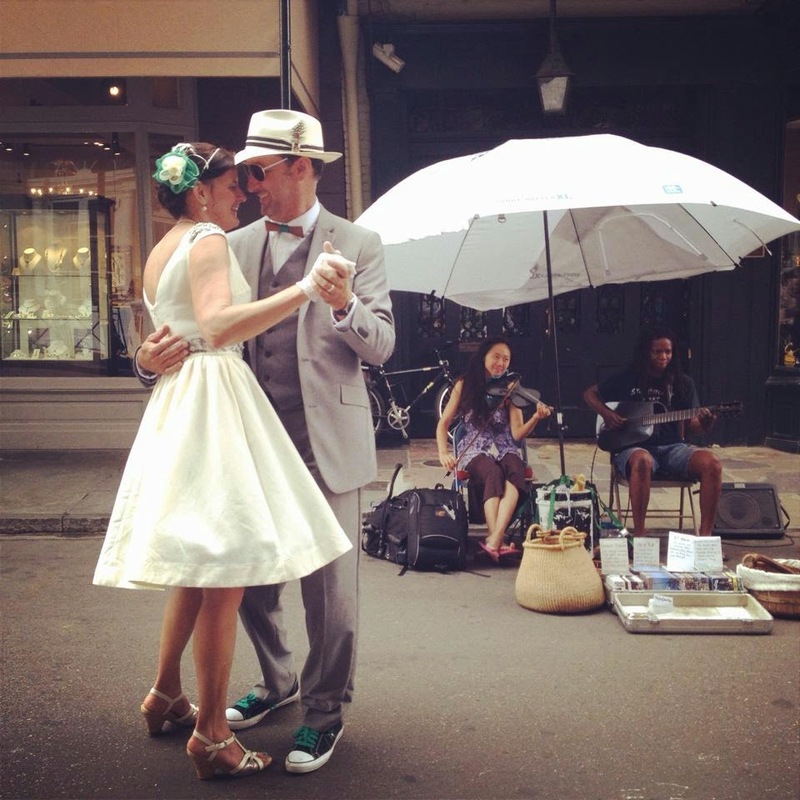 I love writing about our beloved city of New Orleans, and the great times we have here! 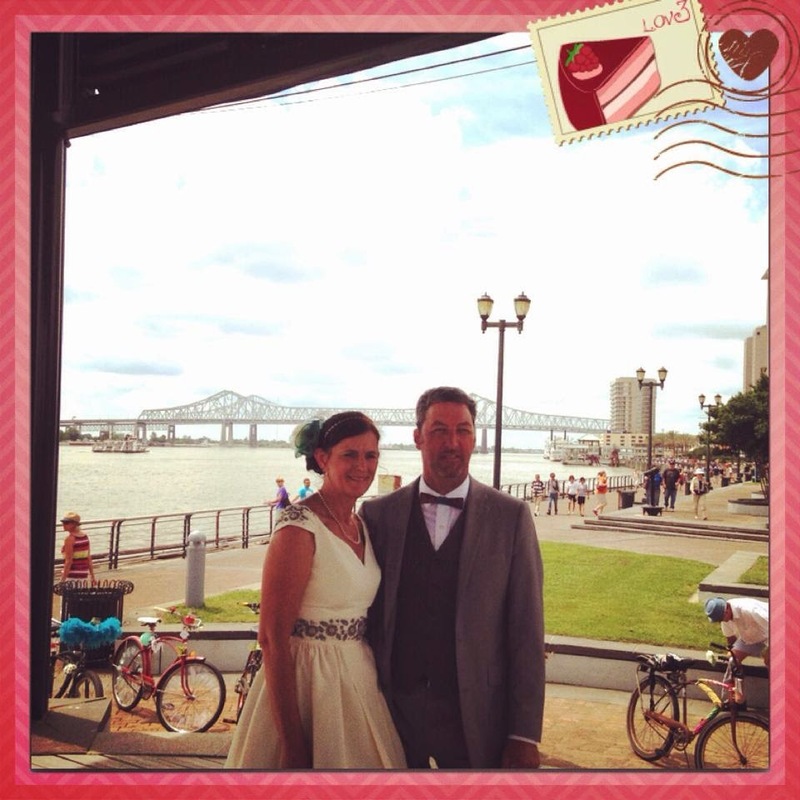 This past Saturday, attended our good friend's wedding in the French Quarter. 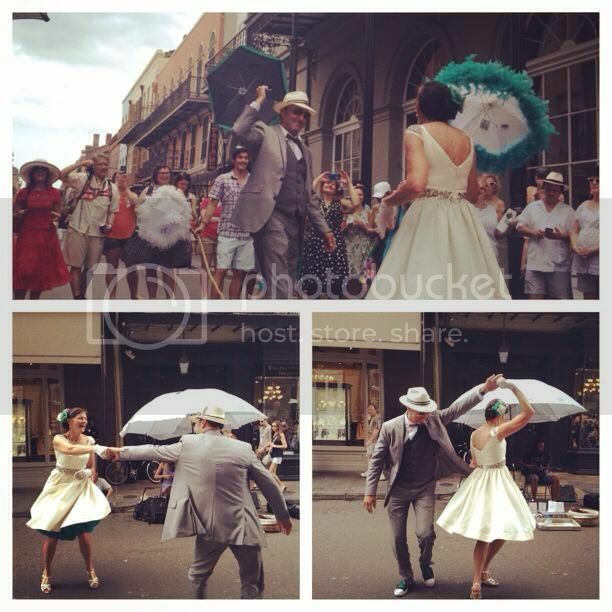 In true New Orleans' fashion, this wasn't just any typical wedding. 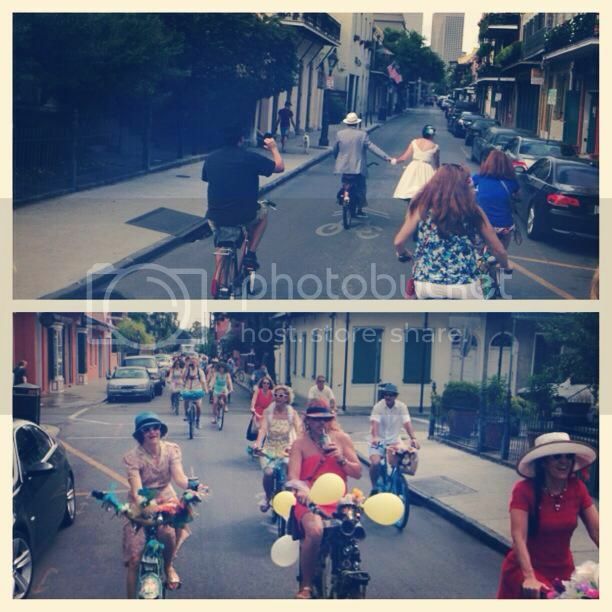 The bride, groom, and all the guests attended the ceremony on bicycles! 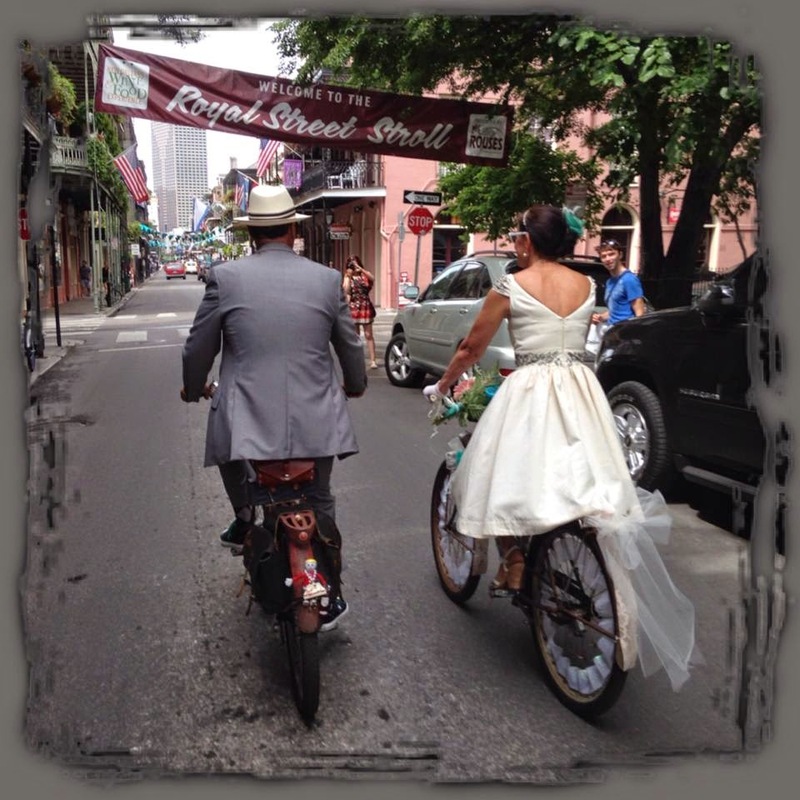 It was the perfect way to celebrate their marriage ... they're both into bikes and even started a bicycle social club. The wedding was fabulous, and it goes on the list with our daughter's barn wedding as "the most unique and fun"! 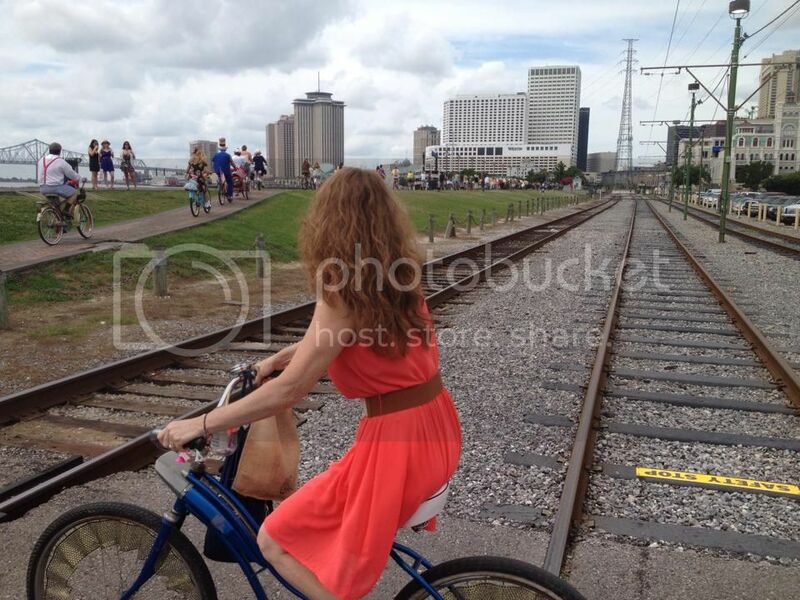 We all met that morning in a park outside of the French Quarter. We were provided with plastic cups to hold our "poison", canvas bags to hold all of our goodies, stickers, and all sorts of fun stuff! Do ya see me in the orange dress behind the slide? Ken's right in front of me. 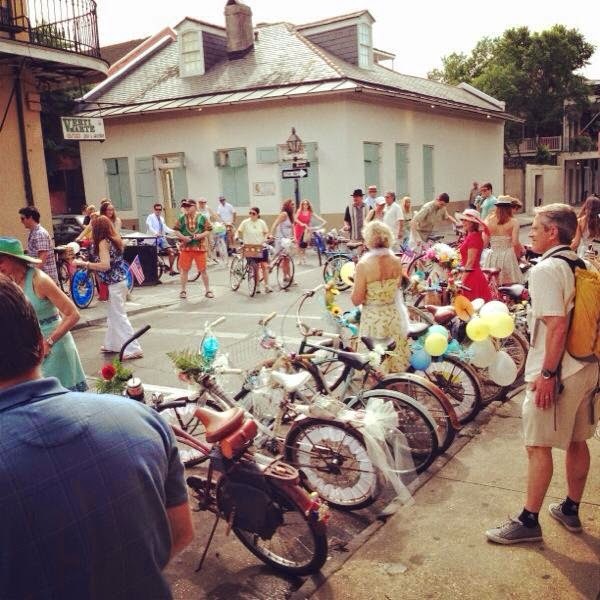 We rode through the streets then stopped at a corner restaurant for brunch ... shrimp poboys, muffalettas and bread pudding! The groom (love his wooden bow tie) with Ken and Shane ... friends since high-school. Shane was our best man! Me and Shane's wife ... they live outside of Tampa, FL. We can't wait to visit them by boat! Back on the bikes to ride through the streets ... folks were dressed in all sorts of cool outfits. It was fun to watch the tourists smile, clap, and grab their cameras. I spy me and Ken ... and a man in a dress! 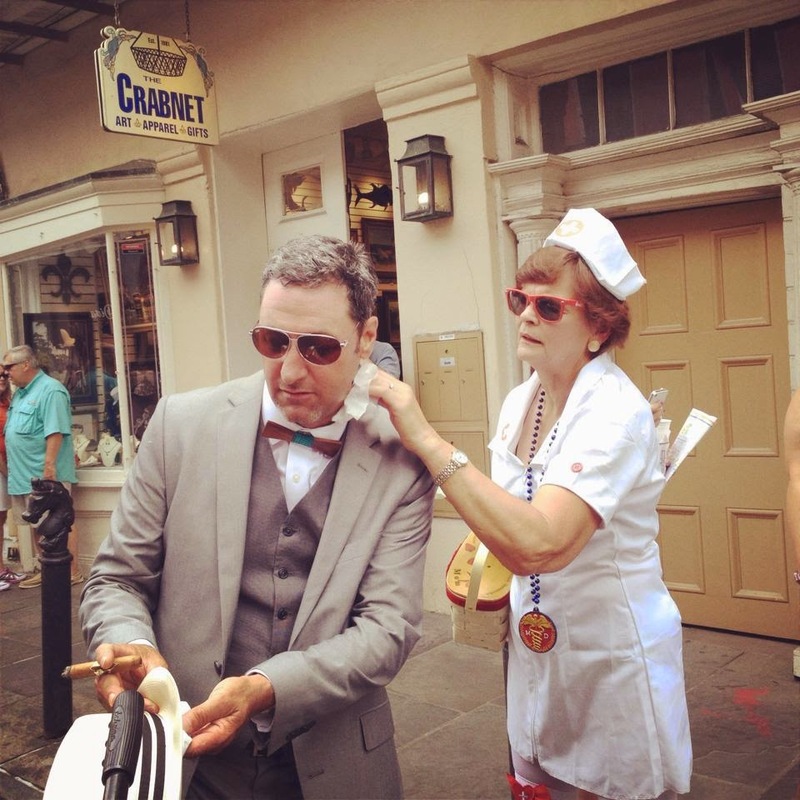 One of the bride's sisters was dressed as nurse ... she made sure they were well taken care of! We then went to a church that was hidden behind brick walls ... you wouldn't know that several secret gardens and patios were behind those walls! 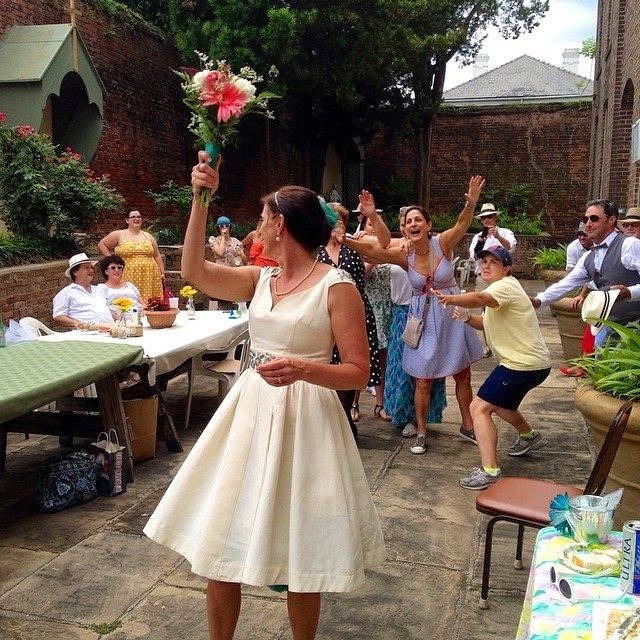 The place had been a nun's convent years ago, and it had all sorts of secret gardens to pray ... it was so peaceful, yet right in the middle of the French Quarter. 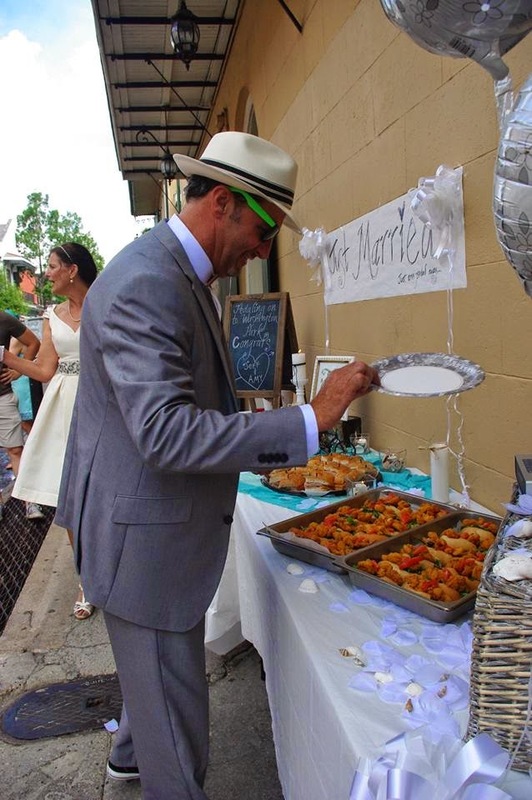 We ate, had wedding cake, and chilled for a while before heading back to the streets. Games were played, one of them was "guess who" ... interesting facts were shouted out and we had to guess who it was about. I bet you could guess what the interesting fact about Ken and I was ... selling our house to live on a sailboat! 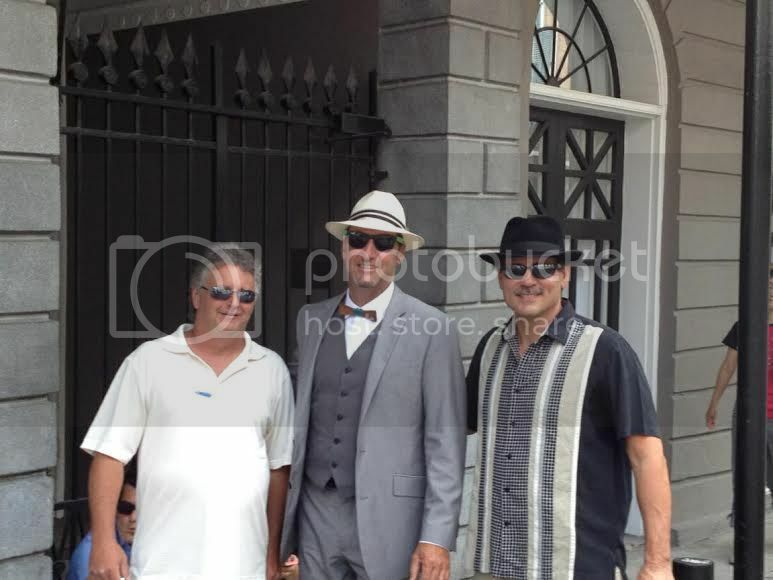 It was another fun day in New Orleans, and a great time with friends ... memories to last a lifetime! 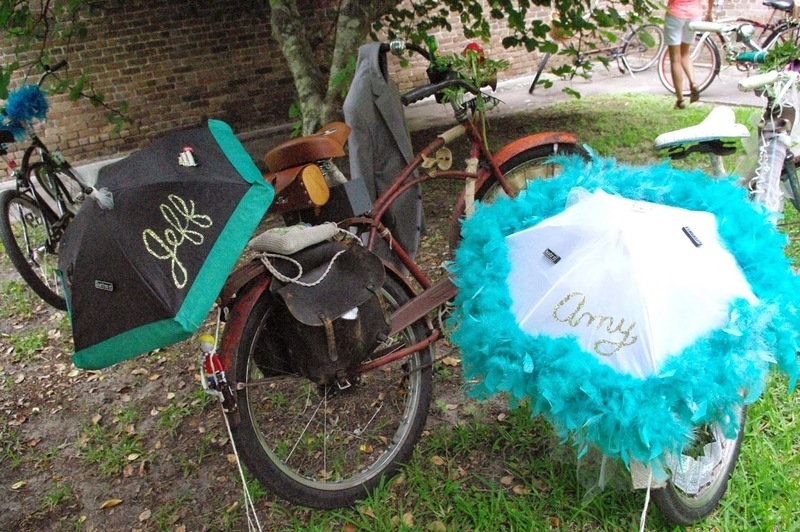 Paul and I got married on our bikes at Fontainebleau last Jan 25th. We had friends who also rode their bikes. What a great wedding idea indeed! Hi Robin! 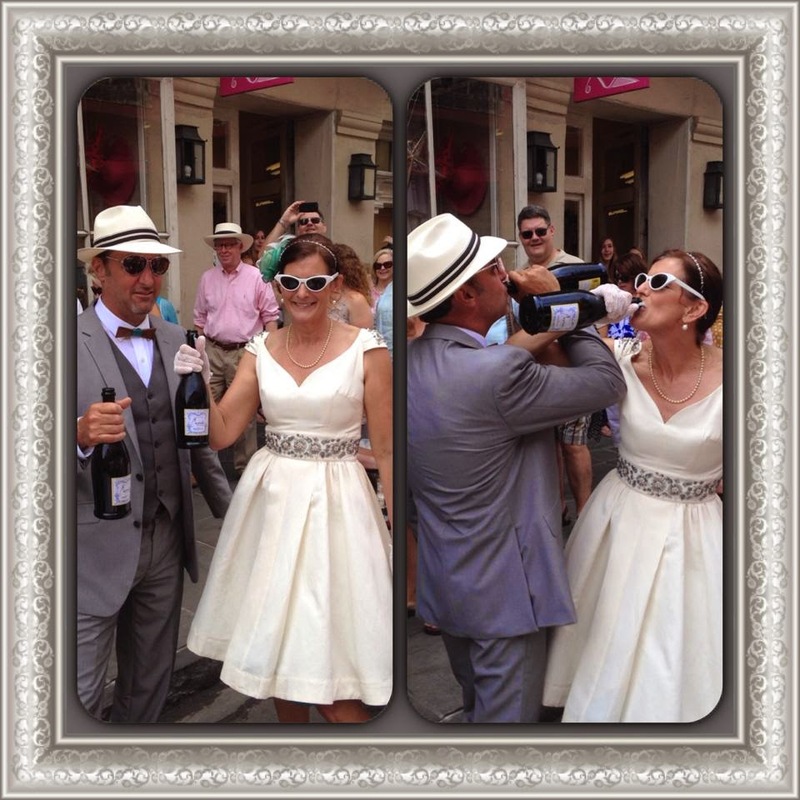 Yes, I saw pics of your wedding through Dani ... really nice! 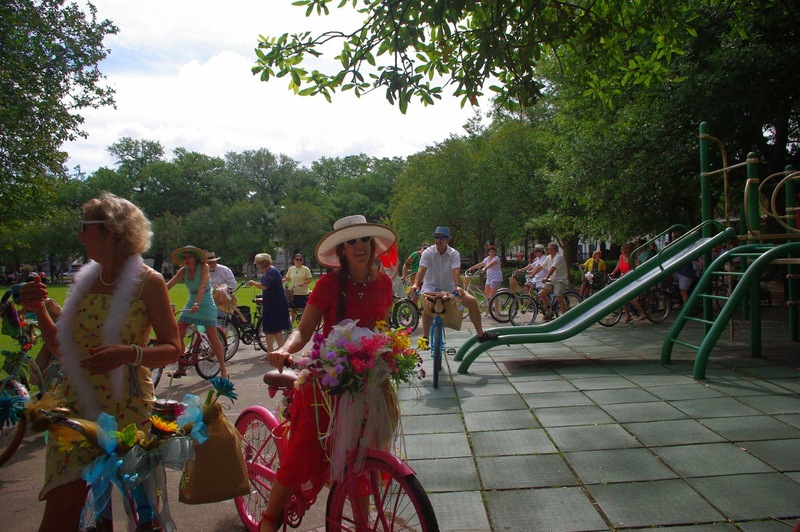 We don't make the Thursday night bike ride too often, but maybe we'll see each other there. Congrats and keep in touch!